Rustic fall leaves, dried flowers, stems of berries, and twigs. It’s the perfect recipe for bouquets, wreaths, and banners that will last all winter long. Design your own compositions with a full 75 individual vector objects. This arcadian collection is truly extensive, and shows off all of the glorious fall colors. Each leaf is intricately drawn, from the petiole through the veins to the blades. Evoke the harvest time feel year round on cards, posters, product packaging, pottery, books and more. 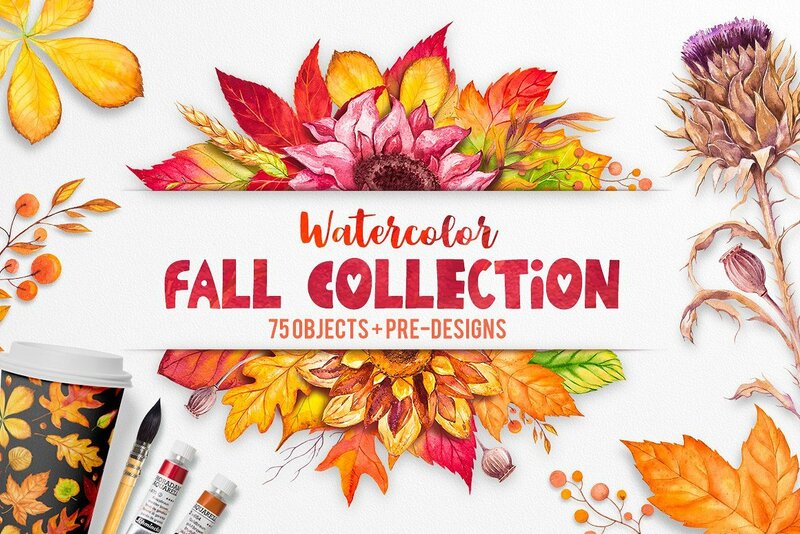 Illustrations included: single leaves, compound leaves, dried flowers, curved twigs, stems of berries – plus bonus seamless pattern and pre-designs.